Once again latex couture is being celebrated. 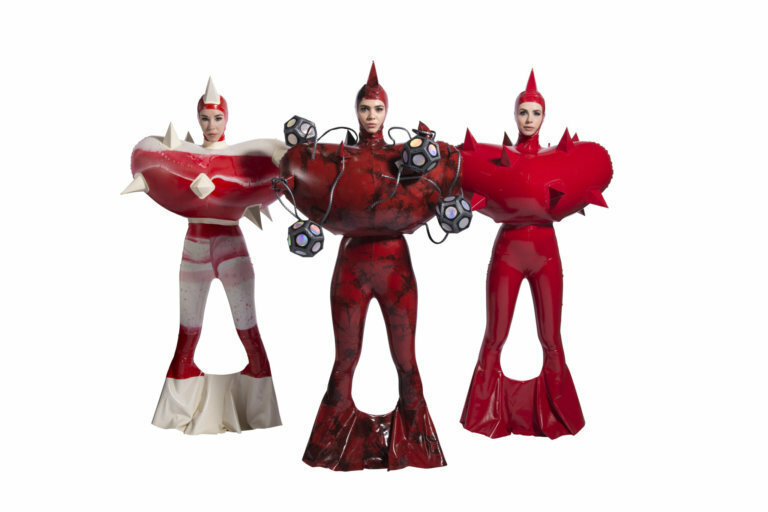 For the 2nd year in a row, Dawnamatrix has won prizes and placement in the World of WearableArt competition, and we are beside ourselves with the honor. This was the second year for us competing in the WOW event that takes place in Wellington, New Zealand. Team Dawnamatrix went over last year and as much picked up the 1st Place Wearable Technology award with our Labyrinth Gown, and 3rd Place in the Red category with The Messenger. We visited with design students through the US Embassy and even managed to romp through Hobbiton. This year, though we didn’t ‘get over’ to New Zealand, we have been awarded the International Award: Overall Winner and International Award: Americas Winner for Foreign Bodies (a very special honor of course for an American designer), 2nd place in the Under The Microscope for Foreign Bodies and lastly 3rd place in Reflective Surfaces for Lady Ethereal. To be recognized by this global accord is one thing, but to win these many prizes this year leaves us truly humbled. The official press releases for the event have not yet hit the net (the actual competition was just this Thursday, the 27th actually, with the show running until October 14th) so there will be plenty of news and pictures to blog about in the upcoming weeks. And with WOW there is a full-year celebration of the finalists, as winning wardrobe are featured in calendars, museums, further press, and what’s more, in a touring show. For now, if you want to read more about WOW 2018, click Victoria Crocker’s excellent coverage here. Once again all of us at Dawnamatrix are tickled shiny latex pink over winning at WOW…and we were thrilled to have just made the finals this year. Thank you WOW and congratulations to all the other winners, we are honored to be in your company.